I grew up in rural Missouri and went to college in the Midwest. While I participated in high school theatre, the idea of attending performances in New York (which felt then, as it still does in some ways, like the center of the theatrical universe) was not an option I could consider until well into my college career. Because of regional theatres in St. Louis and other midwestern cities, however, I was able to see a number of live productions at student matinees and with rush tickets. Without those theatres, I would have had little opportunity to engage with live performance before attending college, and my parents, who still live in the small town where I grew up, might never have seen a professional production. 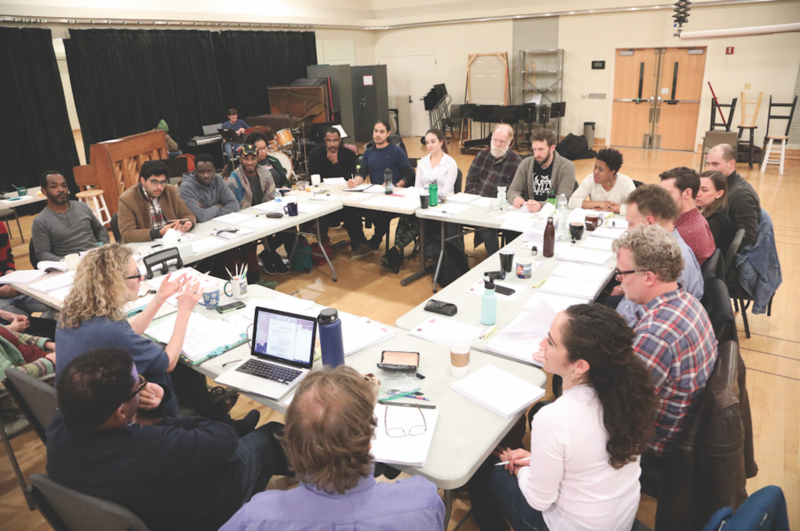 As a stage manager and teaching artist who has worked at various regional theatres across the country, the work that excites me most explores issues and challenges specific to the geographic region where the theatre is located and the audience resides. I sat down with Preston Lane, the founding artistic director of Triad Stage in Greensboro, North Carolina—where I currently work—and Vivienne Benesch, producing artistic director of PlayMakers Repertory Company in Chapel Hill, North Carolina, to talk about the idea of truly regional theatre. Lauren Smith: How do you define the idea of regionally focused work? Vivienne Benesch: There are many different angles to approach answering that question. There’s the “Who’s telling the story?,” there’s the “What are the stories?,” and there’s the “How are the stories being told?” All of these connect to a sense of regionalism, the stories of the South, and the point of view of the Southeast, if we can call ourselves that, and if we want to get even more specific to North Carolina. It’s who you’re asking to write, what people are thinking about and talking about, and how our history has affected who and where we are today that makes us need to tell certain stories. Rehearsal of Leaving Eden. Photo Credit Huth Photo. Preston Lane: There’s the idea that your audience, both people who are from the South and people who have moved to the South, comes from various backgrounds, that those audiences become our region. When we are in dialogue with them, we are ultimately doing regionally specific work. I think about the who/what/how, because there are Southern writers who are deeply connected with the stories of this region—North Carolina writers like Reynolds Price, Jill McCorkle, Lee Smith, who are telling the stories of where they grew up, of the people they know—but also other writers who have come to North Carolina and are writing about other worlds. One of my favorite novels ever written is A Tree Grows in Brooklyn, which is a beautiful story about the immigrant experience in Brooklyn, but it was written by Betty Smith who was huddled against a chimney in an attic apartment in Chapel Hill. That is a North Carolina story as well, even though it addresses another world. Sometimes I think when we talk about regionally specific work, we want to make it seem provincial. Preston: It isn’t provincial at all. If you think about the great regionalists, back in the early part of the twentieth century, those great painters and writers who were so specifically about a region, that work communicated far beyond the region itself. Vivienne: While it’s cliché, it’s true that stories about a very specific place can have the most universal impact. Those are the stories that truly allow people to see themselves reflected. Preston: I think it’s absolutely essential that you aren’t pandering to a regional audience; you’re engaging with them. You’re challenging and provoking and raising questions about the region that you’re telling the story about. Vivienne: Right now, there’s so much volatility and judgment around the politics of our state that, nationally, there’s this thinking that most North Carolinians’ point of view is strictly conservative and narrow. That is so much more limited than what’s actually going on here. That’s what I’ve been struck by, being a Yankee. I landed here just over three years ago, and the first year people were constantly apologizing, saying “This isn’t us, this isn’t us.” And what I’ve realized is that it really isn’t. There are so many rich, complex stories from so many points of view that are relatable, important, entertaining. They all exist and have a size and capacity that is so much bigger than just the politics that have defined us. Preston: That’s so true. The politics that have defined us have been a matter of redistricting and money. That hasn’t actually changed the brilliant complexity of North Carolina, which has always had a very progressive force and a not progressive force—two sides that have been in conversation and argument and debate and pushback against each other for as long as I can remember. Lauren: I’m from Missouri, where Right to Work was just voted down, which was pretty shocking to me. I’m thinking a lot about the complexity of there being two large groups of people with very different political opinions, where political outcomes can still be surprising because there is a real divide in the state. Can you talk a little bit about where you’re from and how that view informs the way you think about the work you’re doing? Vivienne: I am a New York City native. My attachment to the South was that people joked my mother was the northeast European version of Blanche DuBois, and someday I would play that role because I understood it. Now that I’m finally in the South, I kind of get it. A month after being here, House Bill 2 passed, and we were in the cycle of the Trump election. To land at that moment, and to serve a major cultural institution in the state, felt like a great responsibility. I had a lot of people asking me, “What are you going to do about the politics? Are you nervous about what you produce?” and I said, “Look, if I get kicked out because of my politics, so be it.” I knew PlayMakers had to be in the conversation. I love that Preston is taking risks as an author, producer, and artistic director. He’s putting personal and political stories in front of people, stories that are specifically about the place they call home, stories that might not be reflected back to them otherwise in the typical regional theatre canon. It’s who you’re asking to write, what people are thinking about and talking about, and how our history has affected who and where we are today that makes us need to tell certain stories. Preston: I come from the mountains of North Carolina. Of course, being Appalachian is different from being Southern. 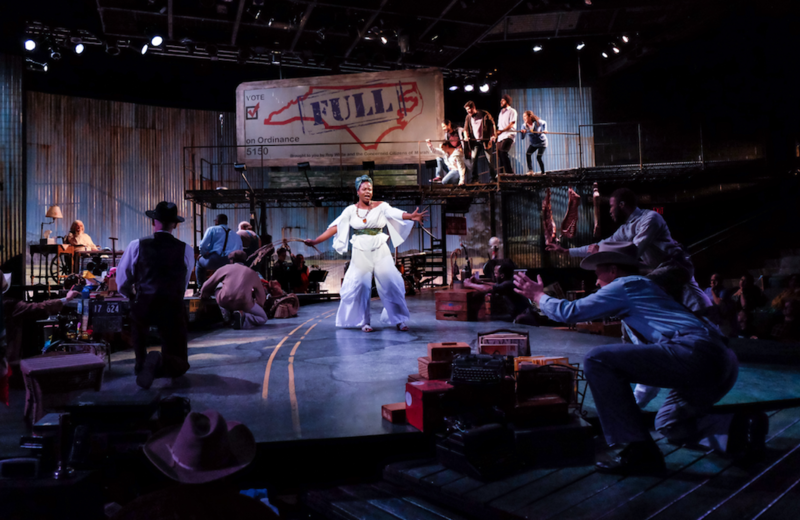 It’s a very different experience, a very different history, so in some ways the Piedmont of North Carolina—where Triad Stage is located—is foreign to me even though many people moved from the mountains to the Piedmont to work in the textile mills. Many of my relatives moved down from the mountains. On my mother’s side, my family in the mountains goes back to the eighteenth century, and my father’s side goes back, that far as well, to east Tennessee, which was North Carolina at the time. Even though my parents went to college, we moved back to the Appalachian mountains, lived in that very, very rural Appalachian world—a world of financial poverty but one of enormous wealth when it comes to stories and folklore and religiosity. I was very much formed by that, but I was trained as a classical theatre director and have lost interest in that. Somewhere along the line I read this quote by Ibsen—and I can’t find it, so maybe I made it up—but basically he said, “If my plays are going to survive they’re going to have to be re-invented by every generation,” and it gave me an incredible amount of freedom to imagine that we, as theatremakers, would start re-inventing plays. Every time we came to a play, we would come to it as though it was new, and we could reinvent it and find the way it was relevant for my audience. After having worked elsewhere, including New York City, I decided to come back to North Carolina. 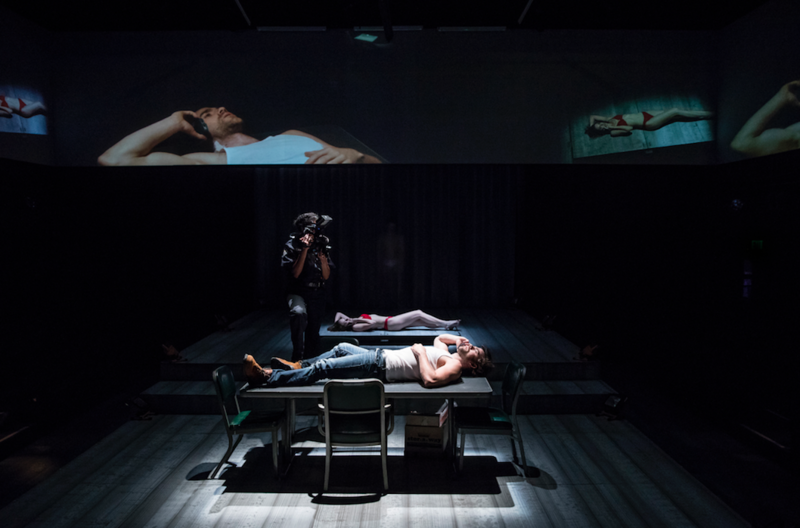 What is important to me is that theatre be in conversation—conversation that is two-sided. I was not interested in telling stories with people who agreed with me all the time. When we were in the process of founding Triad Stage, I really enjoyed that in Greensboro, which is a blue bubble surrounded by a red expanse, I would have both audiences. I wasn’t trying to please one and push away the other but be in conversation about issues that my community faced, issues that needed to have different voices engaged for us to move forward. Vivienne: As a New Yorker, I had an “aha” moment about a year and a half after being here when I went back to New York to see a show. I sat there and was like “Oh, this is really smart theatre being made for other theatre artists. Or other artists in general.” I felt it in a way that I had never felt it before. I realized that producing work here meant being in intimate conversation with my audience, and that audience is made of real people who live their lives here, who come to the theatre to fill a particular place in their lives. Very different from a place where artists are making art mostly for each other. That was a huge wakeup call for me. But the stories being told here shouldn’t be a hidden mystery just for the people of the South either; they are speaking to the nation and to the global community that we have. Now the question is: How can we authentically amplify those voices? Leaving Eden at Playmakers. Tangela Large and the cast of Leaving Eden. Photo Credit is Huth Photo. Preston: It is phenomenal to see Viv engage with the community in such a bold, remarkable way. I was thrilled that she directed the new musical Leaving Eden by playwright Mike Wiley and musician Laurelyn Dossett, because I knew it was going to be like a crash course in the vital reality of what North Carolina is. And it was a crash course in a lot of things. It was a hugely, beautifully ambitious play, so I know she was working on so many levels, but I love that because I think so many times artistic directors wouldn’t have done that, wouldn’t have rolled up their sleeves and gotten in the mud and dealt with the land and the region where they are. Vivienne: They say the most terrifying things are necessary, and that was absolutely terrifying for me. But I also knew that with Laurelyn and Mike, I would never be in better hands to understand the stories. They’re both such generous souls who brought me in rather than made me feel like an outsider. I hoped to bring the theatrical acumen to make sure their stories were well told. Lauren: How does Leaving Eden relate to those ideas? Vivienne: Leaving Eden was a commission. Initially, Mike and Laurelyn were brought in by my predecessor, Joe Haj, to talk about the realities of de-industrialization, the diminution of the working class and middle class here, and specifically to use the backdrop of the cotton industry, the furniture industry, and the closing of so many mills and factories. When I got here, I called a meeting to talk about it, and very quickly both Mike and Laurelyn were like, “Yeah, that’s nice. That story’s been told. It’s really interesting, but we want to tell the story of what’s going on right now.” As a way to do this, Mike chose to explore the parallels between 2016 and 1933 in a mythic small town in North Carolina. In 1933, a culture of red shirts and sundown laws re-segregated this relatively prosperous and integrated cotton-mill community to a violent end. In 2016, a now-struggling pork-processing-plant community is mistreating its essential Latinx workers and cracking down on immigration legislation. Will the cycle of violence repeat? Ultimately, this regionally specific story explores the cyclical nature of our country’s conscience; the violence, vulnerability, and fear around our country’s heritage. Mike was looking at it through a lens of shifting demographics and economics, and Laurelyn immediately came in with “What does that mean in terms of the land and the water and the people there?” So, within the play, you have this beautiful mix of the natural and the industrialized, the civilized—or uncivilized. The stories being told here shouldn’t be a hidden mystery just for the people of the South either; they are speaking to the nation and to the global community that we have. So here were two writers who love this state deeply, and their critiques and their understanding came from a point of view that stemmed from that love. Laurelyn’s music had been formed literally from spending time by the water and the grasses of this place. So that sound and her wanting to authentically orchestrate it to the sounds of the instruments of 1933 and the instruments of today—all of that was an education for me. North Carolina audiences went pretty nuts over it. A few people who came from out of state said, “We probably wouldn’t do it, it’s such a North Carolina story, it’s for North Carolinians,” and I thought, “What?” To me, the scope of those stories does not feel exclusive to North Carolina at all. Preston: I think for some people it has to be black and white. There has to be a good liberal issue and a bad conservative issue, and the conservative issue loses, right? And that it cannot be complex because then the South would be accepted as something difficult and complex—which it is. I think that’s true with North Carolina stories when they really look at the complexity of the issues, when they’re not just stories of the civil rights movement that portray racists against freedom fighters, but speak to the real complexity of trying to make a community out of different ideas, different perspectives, different ethnicities, different races, different religions. When you are really doing that, the work suddenly stops being about North Carolina and starts to speak much wider things, and at that point it becomes threatening to people. Lauren: Especially for people who are not from the South. Preston: People really want their Southern story the way they think they understand the South. I think that, in many ways, what we’re trying to do is tell really messy stories as the formation of the future. 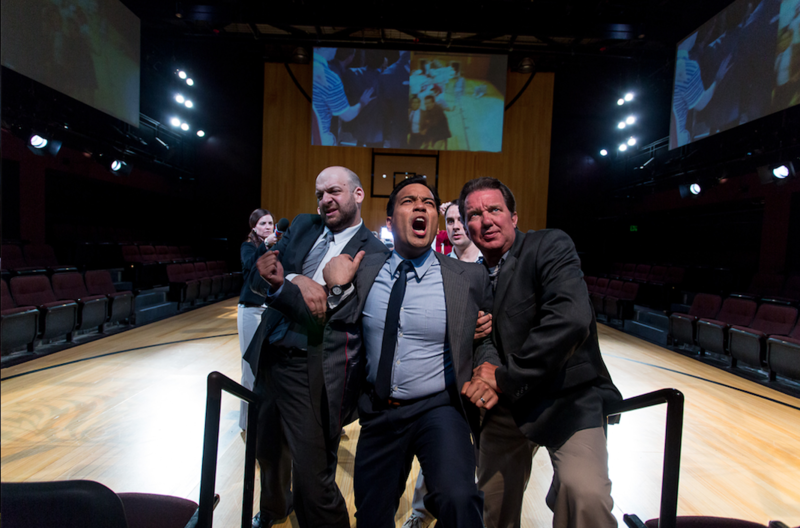 My play Common Enemy, which is inspired by events that happened at UNC Chapel Hill—and is a riff on Ibsen’s An Enemy of the People—looks at corruption in college athletics. In North Carolina, when we talk about the religions, we talk about Methodist, Baptist, and basketball teams. And that for me is a story that is very, very North Carolina. At the same time, it’s very much about what happens when you speak truth, what happens when you stand up to power, what happens when you try to reveal that which should not be revealed. Common Enemy at Triad Stage. Jennifer Leigh Mann, Mike Tourek, Kurt Uy, Carroll Michael Johnson. Photo by VanderVeen Photographers. Like a lot of people who are phenomenal fans of a particular basketball team, I was deeply devastated to have my commitment to the team and my commitment to freedom of speech and academic freedom and academic integrity be challenged. I believe in all those things, but I also wanted my team to win the NCAA tournament. And I had to decide which one was more important. My love for the Tar Heels is ingrained culturally into who I am in the same way that my belief in freedom of expression and academic freedom is central to my core values as a person. The conflict of two things I treasure being placed in opposition to each other demands a kind of wrestling with existential questions. Vivienne: Preston is constantly turning to canonical work, bringing those stories as the bones of new and real stories for today. I think that’s a very smart approach for our traditional theatre-going audiences. And they go, “Oh good, I can hang onto Thérèse Raquin [the inspiration for Triad Stage’s production of The Passion of Teresa Rae King], I can hold onto Enemy of the People.” And you as a writer get to hang onto those bones as well. We also hopefully have younger audiences in the works who see Teresa Rae King and don’t know. Vivienne: “What’s this French novel, what’s this Ibsen play?” What I love is that it operates for both completely. There’s something in Teresa Rae King—the uncomfortableness of her being such a character that you see walking in the street. She’s all over, and yet I completely related to the iconic French story as well. The Passion of Teresa Rae King at Triad Stage. Photo Credits: Patrick Ball, Madeline Fox, Melat Ayalew (camera). Photo by VanderVeen Photographers. Vivienne: I’m curious about you as an author now, writing Southern stories. When you are creating them, do you have a Southern audience in mind? Preston: Every single night it was the biggest laugh of the show. I don’t know that anyone’s ever said, “I was baptized a Methodist because I’m afraid of drowning,” but it gets to the heart of something that is so true and so real. So I’m writing for an audience in mind. And there’s a group of them, and they’re very different—from a retired English school teacher to a very wealthy nouveau-riche debutante kind of person. Over eighteen seasons, I have gotten to know this audience in a way that allows me to really craft the work for them. Not condescendingly for them. But a gift that is an experience, one that will engage, provoke, and challenge them.